Although the Dacia Sandero’s pure Romanianness precludes it from featuring prominently in AROnline, it is a product – a marketing model – that I absolutely adore. In short, it’s cheap, cheerful and right for our straitened times. Since last week, I’ve been the custodian of this lovely Access model you see above – I’ll be running it long term for Honest John and, although I’ve yet to pass the 1000-mile mark in it, I’m mightily impressed with the little thing. Don’t get me wrong, the Sandero doesn’t set any new dynamic benchmarks. Nor is it particularly fast nor economical. In these aspects, it’s what I’d describe as being adequate. 0-60mph comes up in about 14 seconds and maximum speed is on the shy side of 100mph. However, in the real world, you can drive it at rep speed on a fast-flowing motorway and it will produce fuel consumption figures north of 40mpg in these conditions. Beyond that, it rides well, with excellent pliancy in its damping, while the handling feels tenacious, within limits. As for quality – well, it’s tightly screwed together and the paint is smooth and even, while all the important legislative safety kit is present. I’m fascinated by its sheer lack of luxuries, though. In this car, you don’t get electric windows, central locking, a stereo or air conditioning (all of these are present on my so-called entry-level MINI First) and, because of this sheer paucity of standard equipment, driving the Sandero Access feels like a bit of a step back in time. 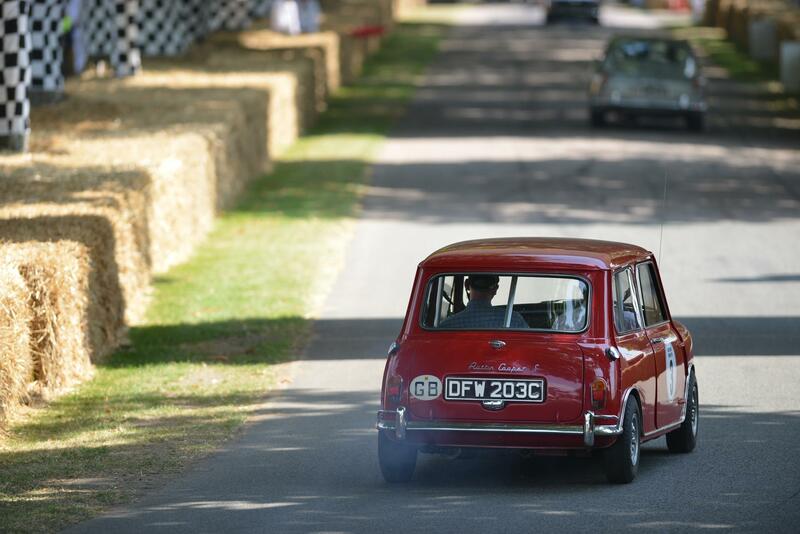 For me, that’s no problem – I love classics, and have other cars at my disposal with toys – but I suspect that the average new car punter would not be able to bear this level of austerity, unless it genuinely was their first experience of motoring. However – and this is a big deal – the Sandero Access comes in at £5995 on the road, making it Britain’s cheapest new car and by some margin. Yes, you probably could secure a Suzuki Alto or Nissan Pixo for similar money after haggling, but neither of these could be considered viable cars for those who a) need to carry people, or b) need to go any distance. Those are sub-A sector cars, with small engines, while the Sandero is a near-Focus-sized motor that really could be pressed into family duties. The point is – at this price, the Sandero can be forgiven for an awful lot of sins. And really, a basic equipment tally is no major biggie. In short, it’s good news! Thirty years ago, this level of austerity would have had you heading to a Dacia, FSO, Lada, Skoda or Yugo dealer – and, as charming classics as they are now, they were dreadful new and (Yugo aside) were 20 years behind what was considered a pacesetting family car back then. Now the sacrifice you make is considerably less. At worst, you’d say the Sandero Access is a mere five years behind the pace. So this is one laudible car – and, unsurprisingly, it’s winning a huge number of friends as a value proposition. Which is all the more frustrating, when you consider that MG Rover could have enjoyed its own Sandero moment in the sun way back in 2003-2004. When the Tata Indica/CityRover deal was announced, I was genuinely pleased for MG Rover. It had partnered one of the industry’s emerging giants and gained access to a supermini with genuine potential. Okay, it was a little further behind the times than the Sandero is now in relation to its rivals, but it looked neat, was roomy and was built by a company genuinely keen on making its collaboration with MG Rover work. Unfortunately, as the launch date approached and it became clear that MG Rover was going to price the CityRover dangerously close to the R25, it looked like a case of snatching defeat from the jaws of victory. And so it proved – the CR was went on sale with a list price that ranged between £6500 and an unbelievable £8900. Needless to say, it struggled on the market, hampered by the lack of a launch plan, and then a wave of negative publicity from across the media. So why is this frustrating? Consider that the price Phoenix paid Tata for the ex-works CityRover started at a rumoured £900-1600, the company was sitting on the potential bargain of the decade. But here’s where greed is said to have come in: because these cars were then sold on to MG Rover for considerably more (did Phoenix pocket the difference?) which was then told to sell these cars at this price (set by the ever fragrant Kevin Howe). At a dealer conference he told salesmen that, ‘anyone who can’t sell the CityRover at this price is a c*nt’. When the deal was initially struck with Tata in 2002-2003, the planning in the UK was for for the CityRover prices to start at £4995. This was the natural price point for a car that was clearly not up to European supermini standards of the time – and it would have meant that, yes, it was flawed, but forgivable thanks to a bargain-basement price. And just think – all of those Metro/100 drivers who’d been left without a homegrown product to buy would have been leaping for joy at the chance to buy a new supermini from their favourite family dealer. But once again, we’re left pondering what might have been. And watching Dacia’s deserved success in the UK now is probably a reflection of what might have happened to MG Rover had they stuck to the original plan and sold you a new, stripped-out, CityRover for less than £5000. I’ll let you know how the Sandero performs in the coming months. I suspect it’ll be flawless and rugged, and will earn my respect for its low-price, no-nonsense motoring. Thanks to Kevin Howe, we were denied this opportunity back in 2003. 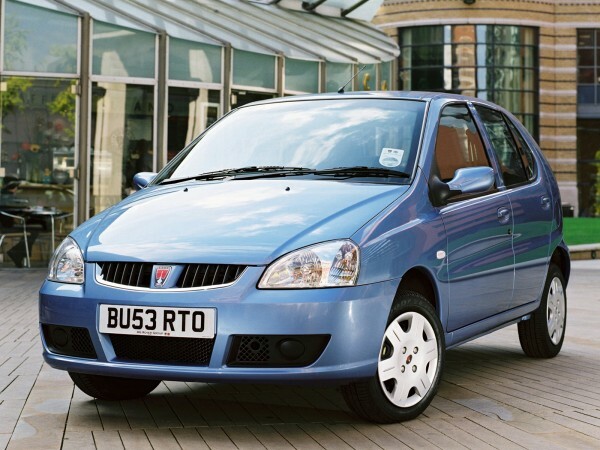 Given inflation, even £4995 in 2003 must be getting on for £5995 today, making the Sandero even more of a bargain. Not sure I could live without a stereo though, is there at least space for you to fit a head unit and some speakers? One of MG Rover’s many could-have-beens. Was it purely greed and idiocy setting the price point so high, or was there some thought of protecting the Rover brand by not selling a cheap car with the longship badge? There was speculation that consideration had been given to using the Standard brand, but that was scuppered due to ownership rights. I can’t help wondering what would have happened if the CityRover had been badged as the Austin City at the sub £5k price, and been made available though all the usual MGR dealerships. High sales, no brand dilution for Rover, realistic customer expectations for the Austin brand, and the door opened for more Tatas like the Aria, or even Nano, to be sold in the UK as low-budget Austins. This seems to be the age for budget brands. The difference between Dacia and Tata, is that Dacia is part of Renault, an thus can share its oily bits with millions of Clios (and indeed Nissans now), whereas Tata is an emerging manufacturer, and back then in pre JLR days was a minnow in the motoring world, and in the volume business is still a small player, vulnerable to these budget brands like Dacia and Datsun. Not only was the SillyRover overpriced but it had the wrong badge on it. Fast forward 8 years and SAIC are making exactly the same errors with MG – with the same results. Why don’t people bother to learn? Why? Talking of the Indian connection, I see RHD Dusters (not Sanderos) are built in Chennai. Is it me – or does the Datsun Go look very like the Dacia Sandero? Austin City would have been an excellent idea. Austin was a name attached to popular City cars in e Mini & Metro & the City was a well known entry level moniker. As I’ve said before, you can in some respects understand the high pricing of City Rover – the company was trying to profit as much as it could and raise some much needed cash. However, I think they should have been realistic and realised that most buyers would not consider City Rover worth this inflated price. Budget pricing, however, could have seen significant sales – it wasn’t an awful car and faults could have been forgiven if the price was unusually low. It looked smart and I reckon plenty of loyal Metro/100 owners would have been prepared to give it a try. It will be interesting to see how today’s buyer responds to the Sandero’s lack of kit. In recent years I’ve often thought ‘surely there is a market for a new, cheap, minimalist car with little in the way of equipment – something like a 1980’s Panda’. I love to see a new car with bare steel wheels. Instead of a basic car, I like to think of the Sandero as a car in its purist form. They are wired up for a stereo, but none is fitted, perhaps the idea of this is (as BMW once said) to allow one to choose one’s own. Cheap it may be, but the more interesting Logan LCV has in one up from base trim, already risen by several hundred pounds since launch. When you sell at the low volumes which MGR did in the early 2000s, you try to maximise your margins on each vehicle sold. That was probably MGR’s reasoning for jacking up the prices of what was essentially a Tata Indica. That put the CityRover out of its comfort zone and into the overpretentious joke category. Too bad they never actually developed a proper premium Rover range after leaving the 75 to stagnate. Like Magnus @5 said, it had the wrong badge. Rover still had a vaguely premium image (though by that time it had degenerated to something equivalent to Chrysler’s rather than BMW’s), so the CityRover simply tarnished it further to the point of no recovery. With a bit of chassis tuning, as opposed to fake wood, it could have been turned into an MG ZQ, the bargain hot hatch of the 2000s, available for an amazingly cheap price of less than £5000. Ecce USP. That would have given MGR its first proper hit. Come to think of it, MGR didn’t need the Rover brand, or any brand really except for MG. Rover under MGR was a wasteful distraction, never showing any sign of bringing the brand back to its 60s and 80s/90s high points. MGR failed to realise the MG brand’s unique potential and SAIC is sadly following in their footsteps. Interesting blog, will be interested to see how the Sandero copes over the course of the test. I can vouch for how Dacia are finding friends. In my area Dusters are very common and one of the most numerous new cars. I spotted a Sandero for the first time today and it looked reasonable in a nice shade of dark metallic red. The most interesting thing for me about the Sandero is that in spite of the Aldi pricing Dacia are claimed to be achieving margins that rival premium manufacturers due to the low price of developing and building these cars. @11, Jaguarundi, whilst Rover may have appeared to be a wasterful distraction in the Pheonix era the Rover branded cars comfortably outsold their octagon-sporting stablemates. The appeal of the Zed cars did not work for everyone. A sensible car for the very few,i work hard for my money and i want something decent to drive,so this is not for me. An ideal motability car two models one manual one auto for the less able instead of choosing X5’s for the non disabled members of the family to drive around in. I think the Sandero Access is great. Sometime next year I will need to decide whether to buy one of these or a secondhand Fiesta. Kevin Howe – The last of the British Motor Industries thick, stupid, idiots who bullied and blustered their way to a career. From Leonard Lord to Harold Musgrove the history of the UK motor industry is littered with them. Every one a dismal failure who left nothing but wreckage behind. An excellent article Keith and as ever, bang on the money about MGR and the City Rover. It should have always been £4995 all day long. Pitching it at £6495 drew comparisons with the Nuevo Panda, and frankly, the Panda is the better car. I’ve often wondered if all those Metro/100 drivers bought British because it was patriotic or because that’s what their local garage sold. I think a lot of it is the latter. As for Kevin Howe, the dealers had the last laugh as they often upsold people into 25’s! Are Dacias also going back to “keep it simple” car design which means they’re easier to fix if they go wrong, especially if the owner can do it himself? A lot of today’s cars will not become classics since they will not survive in sufficient numbers beyond 15/20 years because of the costs of repairs and their increased vulnerability to going wrong. In twenty years time all cars will be washing machines like this,more plastics and alloys are used than ever before,are these cars going to be looked after? to me, they are for people whom have lost the will to live,most wont agree but these are not 80,000 units a year in the U.K cars are they? I dont understand the parallel between the cityrover and the Sandero today,there was no recession in the year of Cityrover-which was a very low rent but strong mechanically car. Funnily enough,given its early days for the sandero, i see more cityrovers than i have the Dacia -0. Maybe SAIC should bring back Morris as a budget brand? Lets be honest the Marina was a huge hit in the 70’s with reps and private buyers even though most people didn’t love the car. If a Morris 3 was priced at £5995 and a Morris 6 at £8995 they would sell. That would enable MG to be what it should be – more sporting with better trim to command a price of £9k for an MG3 through to £15K for a fully loaded MG6 with nice leather and improved fascia. Then SAIC would have the marketing right for these times. Instead MG are still chasing Mini with the 3 and BMW/Audi with the 6 in their corporate bubble!! Haven’t looked at that website but Datsuns before the mid 50’s were mainly microcars with motorcycle engines. Their first popular proper car was the 1952 Austin A40 Somerset in KD form. Probably the first big decision BMC made – lets show the Japanese how to build a world car. In their defence the Somerset was for many years the biggest UK revenue earner and was sold across the world. Apart from renewing the front shocks every year the thing coped with everything from Africa to Iceland. Earlier Datsuns were Austin 7’s somewhat modified – but they never reached the numbers of the friendliest looking car ever made – there wasn’t an aggressive line in sight! Thanks for another great article Keith – for what it’s worth I think the CityRover still is much better looking than the Dacia! Everyone laughed when Rover joined forces with Tata. But look how good a job they’ve done with JaguarLandRover and everyone thinks, ooo how wise that company is. It’s been a success because, frankly they’ve left JLR alone to get on with it, and were lucky to inherit an excellent range of cars from Ford, and booming new markets in places like the Middle East and China. Ford may have been in trouble at the time, but looking back I’m sure it must kill them when they see the profits JLR are making now. Not everything Tata touches turns to gold, Tata Steel (ex Corus) is really struggling at the moment. I commend Dacia for their low-spec ‘bargain basement’ market placement, but I wonder if, like Skoda, they will gradually edge their way upmarket until they no longer have a USP apart from being a bit cheaper and bigger than the equivalent VW? Also I wonder about resale values- will the cheap and cheerful image, which will also affect higher spec Sanderos, keep values down? It could become particularly problematic in, say, 10 years time when they are bought cheaply by those people who have no inclination and funding to run them properly? For me, there would be too many potential pitfalls for me to invest my fantasy 5K in a new Sandero, versus a 2 year old Fiesta for instance, which would certainly have more ‘presence’ on one’s driveway. I wish them well. If their debut as a marque (or rather the relaunch for those of us who remember the horrors that were the 1980’s Dacias) is anything to go by, they deserve success. Sounds like the c**t was Kevin Howe. @19 If only things had turned out differently… would the new Morris Minor be MG Rover’s answer to the BMW Mini? Sandero – I’d buy one. I ran a Skoda Favorit for 6 years in the late 90s and early 00s. It was a much better car than it was given credit for. It was completely reliable. I had less trouble with it than the Sierras I had at the time to tow my caravan. I doubt I could live without a stereo, electric windows and aircon these day’s though. Today’s big news story is the Datsun Go. The highly influential newspaper ‘The Hindu’says its main competitors are the Maruti (Suzuki) Alto, Hyundai Eon and Chevrolet Spark. No mention of the Tata Indica. The Go matches the Indica Vista 1.2 petrol’s dimensions closely, with one exception, but has a reported starting cost of under Rs 4 Lakh. The Tata is priced around Rs. 4.7 Lakh. Tata Motors seem to be struggling in their home market, yet the Datsun seems to follow the original Tata Indica product strategy, a marginal 5 seater, quite generously sized compared with rival products derived from Japanese K cars, and fitted with a gutsy 1.2 litre 4 cylinder engine, markedly bigger than the 0.8-1.0 litre class norm. Rs. 4 Lakh converts to £4400 at the moment. Not the £2000 originally predicted, but the package on offer suggests that Nissan know what they’re doing. People often talk about a demand for these stripped out basic budget new cars but when todays UK buyers go to a showroom to buy they really want all the toys and something they don’t have to hide from the neighbours….or if they don’t have the money to buy it new they go for the many 2/3 year old used cherished deals on far more aspirational cars at the same bargain basement prices. There is always going to be a marked for basic, cheap new cars. Some just want a new car for cheap for basic to/from work, the train station, local shopping and the occasional longer one day drive. They don’t want a micro/mini car, as feel uncomfortable, they want one 4 people or bring home some weekly groceries or something from the DIY store. Of course these cheap version cars are in part to get people into the showroom to consider a slightly better and more expensive model, to promote a new brand, to offer a budget line without cheapening their main brands. Remember this is how Hyundai and Kia got started. This view is not reflected in the true sales success of the Rover brand compared to MG. Using SMMT figures, if you do a like-for-like comparison of the Rover 25/45/75/75 Tourer ranges against the equivalent MG ZR/ZS/ZT/ZT-T for the years 2002-2004 (2002 being the first full year of MG Z saloon production and sales, and 2004 as the last), you will find that each of the Rover models comfortably outsold the equivalent MG model. Only in the last few months of MG Rover Group’s trading did the MG ZR becoming the company’s best selling model. The Rover models were also far stronger in terms of generating exports sales, with the brand being highly regarded in many export market territories. the CityRover should have been badged as an Austin or a Morris ‘ and sold at around GBP 5,000. It would have been the bargain of the century …… and would have flown off the shelves…..
@ David3500 I quite liked the MGR two brand model 1-sport car and 2-luxury brand. I think one problem they did have thought was too many body styles. there were quite a few body options all up. I think I would have been tempted to dump the Rover 45, and concentrate on the 1)City(new MG-Metro), the 2) 25(ZR)(ie- its replacement) and the 3)75(ZT). and limit the variants in the models to 2 (4 and 5 door models only). How was the CityRover compared to something like a Nissan Pixo, or an Aygo/C1/107 ? Both of these are basic cars. My local former MG Rover dealer tells me there is still a healthy demand for good used CityRovers if he can find them. They couldn’t use the Metro brand as it belongs to BMW, along with all the best ex-BL names like Triumph, Riley, Vitesse, Maxi etc. If you’re willing to splurge out ten grand or so, you can get the Dacia Sandero Stepway which is bigger, nicer to look at and has electric everything, cruise control, a speed limiter parking sensors, aircon, satnav, Bluetooth, ESP and ABS with a 90 bhp engine. You can get a longer warranty if you pay a bit extra, and there are some other options too to make it a nicer place to be. I haven’t driven one, but I’ve been inside and given it a good poke. It’s all Renault inside the cabin, so nice and tidy and logically laid out. As for the badge, who cares? Petrolheads seem to appreciate the concept, many people won’t care and really the only people with an aversion to the badge don’t matter. I think it’s even a little bit cool.. the French love their Dacias after all! While the entrance-model, named Access, will lure the potential customers into the showroom with that £6000 price tag, most of them will actually roll out of the dealerships at least as an Ambiance. For a mere £800 the black bumpers are colour-coded, electric windows at the front, different two-tone upholstery, rear headrests, a boot light, remote (and Anti-intruder) central locking, and last but not least, a touch-screen bluetooth/USB/AUX cd-radio. The Diesel will probably not be the biggest hit in the UK (plus £2K over the aforementioned version) but that will be a big hit in other countries. I talked a mate of mine into a new Dacia Lodgy. He has a family and travels a lot for his work and wanted something to pull a caravan. And also here, it ended up being not the base-model and not a petrol. That car is btw based on the underpinnings of the previous Clio/Megane. My mate came from a 7YO, worn-out, 200K miles Berlingo, so every new car is in his eyes an upgrade. The new car comes standard with all the safety-gadgets and the budget even had room for some nice Rial 16″ and 205/55 Conti tires. The 15″ steelies are shod with the (Nordic) obligatorily winter tires (Bridgestone), so they’ve been put to good use too. All-in-all, he’s now the proud owner of a spanking new 3 year warranted, huge, spacious and air-conditioned car for half the price of a Megane Scenic or even worse a Touran. I say even worse, because VW is not as it used to be anymore, not to mention their dreaded DGS ‘boxes. And Keith; you couldn’t have said it any better; “The point is – at this price, the Sandero can be forgiven for an awful lot of sins.” That goes for all the Dacia’s, I think. But then again, what are the real sins? It becoming a Skoda equivalent? Yeah, that’s really bad. Money left for other things? A new car, safer than all the second-hand ones? Erm, hard plastic, maybe? Mwah, a soft squishy dash is more of a selling-point towards the neighbours and friends, when showing the expensive alternative you just had to have. Because, really; who is feeling the dash on a regular basis? If yes; that could be considered creepy and I think that you should’ve bought yourself a pink and white Fiat 500 Barbie instead. With plush pink seat covers. And Ricky Martin on the stereo. Maybe SAIC should look at an export budget brand based on the Austin or Morris name, the Austin could be called the 7 and the Morris the Minor. Infact a 21st Century Austin 7 would have a lot of relevance as Hwrbert Austin originally designed the car for markets with poor roads and buyers with little money, just like India and Africa today. It could be based on the MG3, unpainted plastic bumpers (restyled of course! ), steel wheels and a raised and beefed up suspension to help cope with poor roads. Funny, about the new Datsun Go. It’s apparently based on the Nissan Micra, which is in turn based on the B-platform Renault Clio/Modus platform. Based on that B-platform is the lwb B0-platform, which is the platform of the old Dacia Logan, Sandero, Duster and the Lada Largus! And based on THAT platform is the M0-platform, the base of the Dacia Lodgy, Dokker, Sandero Mk2, Logan Mk2 and the Renault Symbol Mk3. And a version called the EV-platform is actually the underpinning of the UK made Nissan Leaf. That means, if Lada and/or Dacia ever want to have an EV; it’s practically plug-n-play. Oh, and the Renault-Nissan Headquarters are in Amsterdam, the Netherlands. And that makes me personally kind of pride as a refugee Dutchy. So (apart from the fact that the newer Dacia’s are actually made in the even-cheaper-then-Romania-manufacturing-country-called: Marrocco), that’s one of the reasons why the Dacia’s are so cheap: same-old-same-old Renault/Nissan platform and engines. The same fact doesn’t explain though, why the Nissans and Renault are so relatively expensive. @33 I agree, the City Rover is an attractive-looking vehicle. It seems to look more attractive than the Indica. 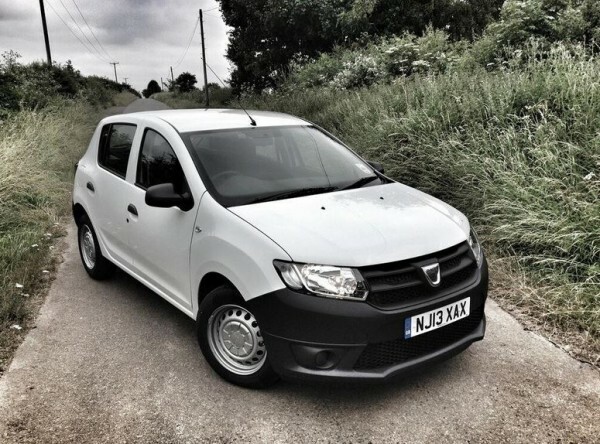 One point seems to be overlooked – in 2003 the economy was on the up and austerity as reflected in the Dacia range was unknown to a lot of people. @39,Dreaded DSG ‘boxes? tell us more. Current market share as of may 2013 0.33 percent,must start somewhere eh? Let’s face it, the City Rover never stood a chance. The media in general, backed by the shambolic Blair/Brown governments, were out to kill the ‘dirty’ industries and MGR was cannon fodder, and the City Rover was target practice. Re: My local former MG Rover dealer tells me there is still a healthy demand for good used CityRovers if he can find them. I wonder if they have communicated that back to Tata-JLR. the company owns both the body and name. I think its a great car. Unsure what safety rating it has though. If it performed well in crash testing I’d buy one no problem at all – I couldn’t give a t*ss what the neighbours think – who seriously does? It would help to offset running my Interceptor other than at weekends. Cars like this, the Up, new Panda – all deserve to sell well. Poor roads and buyers with little money? That sounds like the UK – not just India and Africa! That’s half a million DSG-recalls in China alone! Hence dreaded. Sorry if you have one. How did the pricing compare to the VW Fox? Should’ve been competing with this. Two sub-premium brands with an imported budget model. On a recent holiday in Scotland it was noticeable how many Dusters were already on the road. They seemed to blend in well with the Highlands where sensible workhorse-type vehicles are popular (witness the amount of estate cars, sensible Subarus and Landrover Defenders). Not so sure about the basic Sandero. A week of near 30 degrees and chronic hay fever makes me thankful for aircon and the like. I really hope one of the mags does a long term test on one of Dacia’s products. @46,fantastic figures,probably 1.5 times more Dacias sold in Europe than the Focus sells in the UK annually. @51 The Fox wasa terrible car too. Bearing in mind the quality of modern Renaults the thought of a cut price version, ie Dacia, fills me with dread. I’d rather spend 6K on a used car from a decent manufacturer. Remember the used car doesn’t come with 3Y warrantee. Who of the so-called decent manufacturers these days makes quality cars, which, when 3-5YO, don’t have any -potentially expensive- problems at all? The more complex the cars get, the more problems will appear. Dacia (and others) are simple cars with thoroughly tested last model parent platforms, mated with the most modern engines. What can go wrong? Well to be honest; time will tell, but I’m actually considering a Duster, which is basically a Nissan Joke (erm: Juke) with an old-school instead of an outrageous body shell. That can’t be too bad, can it? It’s the modern-day no-nonsense Niva. Maybe that’s why it’s a big seller. Maybe we don’t actually need that Merc G or Range Sport to get the kids to school. Maybe those cars were only to there compensate for something else. Maybe because of more and more people growing tired these days of nonsense. 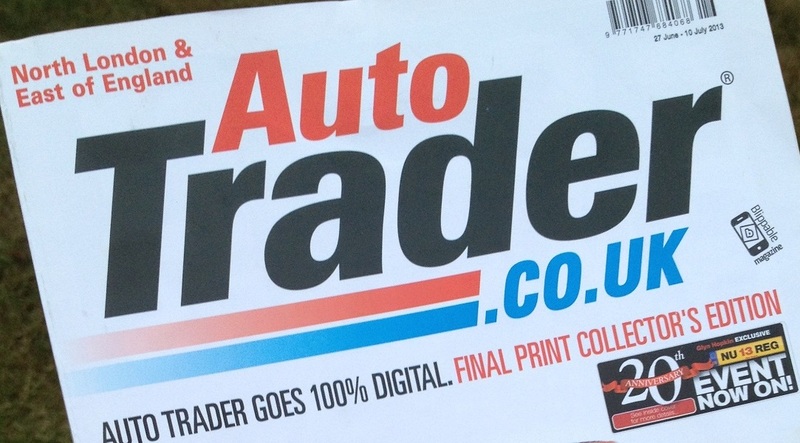 A lot of people buy new cars on HP / PCP / lease – something goes wrong – hand it back to the dealer. You don’t necessarily get this with a used car, or even a car bought with cash. Dig deep enough and anyone can find an excuse why or why not to buy this car,none of them matter.Its the sales figures what count,this car suits the very few,and they dont care what we think. @59, please define “”this car”, and “they”. Honest question, since it’s a tad vague. Good point about the throttle pedals. It even happens to Toyota. Good for them it’s a 3 minute fix, since that’s all it takes to swap the pedal; two nuts and a connector. The only offputting thing about the Sandero is where the technology is bought in from. If they had paired up with Ford or Volkswagen, then this wouldn’t have been a problem, but Renault tends to be a name I associate with over complicated and terrible electrics and poor customer care. Everyone I have known who has owned a Megane has had terrible electrical faults, which have cost a fortune to fix, and all have failed their first MOT. At the risk of offending lot of people, if they had called the City Rover ‘the new Morris Minor’ or even Major and priced it right it could of been a winner. After all the technology was about the same period. @60, The sandero. The owner. In all fairness, the City Rover had ample space, a not to shabby ride and at 50 yards looked quite dapper in a decent colour. But it was more than price that fatally let it down. Customer clinics brought comments of poor quality and out of place feeling plastics, as for the door mirrors… the paint finish was nothing short of embarrassing – and all this was before the car officially went on sale. Reliability was pretty good though, but that would have something to do with the ancient yet rugged PSA engine. But scratch beneath the surface and some really nasty build issues such as dismal routing of the brake pipework and the fit and finish of items like wiring clips and underneath bracketwork was nothing short of borderline not fit for purpose. Yes, Rover shot themselves by over pricing the car by a stupid margin, but on the whole, many customers were simply not fooled by the car and any possible prospect coming out of a Polo or Fox for example found the Rover to be below par on almost every conceivable level. More attention to re-working and better pricing that could have been cost effective thanks to utterly HUGE profit potential would and could have saved the City Rover. Only good old fashioned greed buggered it up! @65, The Renault engines are completely bombproof if serviced regular and properly. Its the trim and everthing else thats normally flimsey. @64 Completely agree, i remember CAR magazine doing a shoot out with the Panda and although sound in areas the Cityrover was outclassed-the biggest bugbear being the third world dash,i remember knocking on one like a front door,horrible brittle plastic with no reinforcement ribs under it. At least the Panda was dressed for work,and the plastics was an honest,rugged type. Agree with those seeking the return of a basic rugged home-serviceable car. Marketing such a car as Morris Minor could work:- strong brand-associations for the virtues of frugality and sound engineering. Chain-cam [or gear-cam] 3/4 cyl. engines w/ fuel-injection [now that it’s a mature technology]. Tuned for real life driving, not for achieving class-beating results on EU tests. No dual-clutch gearboxes, DMFs, turbos, EGRs, ECUs etc. All consumables easily accessible, with no unique tools required. Basic but comfortable interior; well-designed, sober colours, absence of vulgar tat. No sunroof, manual windows, air-con optional. Conventional instrumentation backlit in restful green. Face vents delivering cold air only, regardless of heater settings. Rust-traps designed-out, a-la Peugeot 205/6 and 405/6. Elegant un-showy styling that doesn’t seek to make any particular “statement”. No inputs from Posh Spice. I do realise that, apart from the fuel-injection, I’ve pretty much described my much-missed Renault 5 from 1986. I further acknowledge that the chance of BMW building such a practical low-cost non-fashion item is near zero. Just wait till E6 SCR for diesels kicks in-twelve sensors on the exhaust system alone- any faults with any one of those sensors will not let you start the car after shutdown. I see where you are coming from and mostly agree,classic cars have never seemed so appealing! The mentions of the cityrover reminds me, I should buy one. It should be remebered that the car was allegedly improved greatly after the customer clinics so they did listen, just how much I am uncertain! I have to defend the Yugo.. I had a 513, and remains the newest car I have ever owned.. it was 4 years old when I bought it. It was not dreadfull, it drove very nicly in fact. The seats were falling part and the rear wheel arch was rotten.. oh I see what you mean… but I don’t have any bad memories of it, it started, stoped and was a fun thing to drive, and only cost me £50! Sadly though… its not only how they look its how they feel too. They did respond to customer suggestions but by no means enough to carry it off. Had they have been cheep cheep, they may have pulled it off but how would that have fitted in with Rover values at the time? Instead, they pumped the price above and beyond fairness offering naff all in return. The Sandero genuinely feels like you could drive it to the moon and back again – I should know having just caned one to Yorkshire and back. The City Rover looked quite sweet and yet felt so very bitter. I remember seeing and driving a very early example, the phrase “a glass eye could weep” still comes to mind. Stewart @ 72 – Good point! Keep the reports flowing, one point, if the car from the Press fleet, look out evidence of fettling / special treatment to enhance the vehicle. Newtown Motors used a cityrover as their courtesy car, and I had the unfortunate experience of using it on at least two occasions. It remains without doubt the worst ‘new’ car I have driven. Noisy engine, horrible materials in the cabin, the seat fabric was particularly foul, and the gearbox was well below par. That said it had a lot in common with the substandard porridge that BL sold in the seventies ( Allegro, Marina, Princess). The Dacia is an altogether better proposition, with a much better DNA and execution. Not sure how large the market is, as some people will opt to spend their cash on a previously owned Focus or Astra. The big mistake is the John Moulton and Alchemy were not allowed to buy MG. it would have been a very different outcome if they had. Always admired Renault for having a great feel of what is going on in the market, what people want. In Germany the Dacia range is a hit, let’s face it ‘ze’ Germans know their cars. And this is built with no-nonsens proved yesterday’s technology from Renault, so nothing too fency. With the crisis in the EU Dacia is one of the few companies with improving sales. And what Keith says, in the end who cares about all the luxurious gadgets you get on today’s modern cars. Wind down windows and normal door locks also do the job. If you want them, pay Dacia a wee bit more and they’ll fit it for you. Re the bit about Kevin Howe, what a typical Sales Director’s gambit. Come up with a flawed proposition for your teams/dealers, then make out it’s them at fault for not making it work. The reason Dacia are making money is because of the clever way they package the upgrades e.g. if you want anything other than white you have to go to the second level, same with the diesel. If you expect a boot light in your Logan you need second level. I read in Fleet News that they’re achieving an average order level around £13,200 on Dusters. Still plenty of City Rovers around here, all in pretty good nick and some looking quite cherished. If the price had been right and the final improvements had been there from the start it would have been a winner sales-wise. Out of interest,how many have sold so far in the UK? Called into a Dacia showroom to check the Sandero and Duster. The First is reasonably priced, but if you want air con, a pepper pack etc. you need to upgrade to a ‘One’. Get them in with low prices, then spec them up. Never owned my Clio long enough to have any real issues, though it was basic – 1.2 pre-fuel-injection with a 4 speed box, windy up windows etc. Never had a real issue with the Citroens, other than their obsession with torx screws which are usually inevitably rusted in place, going at them then strips the teeth off the centre section, leaving what resembles a rivet. End up either try the rubber band trick to try and get grip, or drill the screw out. Then refit with sensible philips screws! If only they had put it on sale for £4995. They might still be in business. If only Rover had put the CityRover on sale for £4995. They might still be in business today. 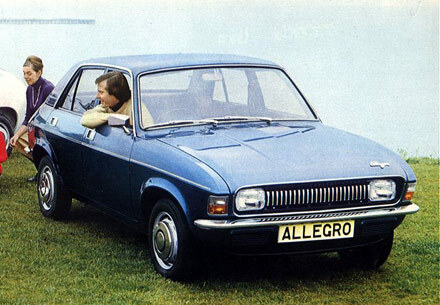 The thing is,when the cityrover was introduced,everyone in the car industry knew it was the end. Sadly they was right. @1, Rusty, absolutely, this shows just how ridiculously overpriced Cityrover was. In fact it launched at £8705 at today’s prices (using an inflation calculator)! At 2003 prices, the Sandero is launching at £4450! I’ve no experience of the cityrover, But our Sandero Dci is now 2 years old and holding up just fine. No unexpected areas of early rusting, no bangs, rattles or bits of trim falling off. Consistently delivers incredible fuel economy. You know, just like any other car. Only a lot cheaper. that people wanted to pay more for. The Rover 200 was to be the Metro replacement, but they got greedy and decided to pitch it against the Golf, the production of both the Rover P6 and SD1 where disrupted, so instead of sorting out the production problems, they just increased prices to restrict demand. I think they did the same thing with the Rover 800. I thing one of the biggest and untold problems was in the adoption of the singular Rover brand. The management convinced themselves that this badge added value and was worth hundreds of pounds on the asking price, thousands in the Rover City. If they would have ad an Austin or Morris brand with which to launch the Mini City, a sensible pricing strategy might have prevailed. I’ve a Dacia Sandero 1.5 diesel, and, I have to say, I’m impressed..It’s pretty low tech, less to go wrong, comfy, great on bad roads and easy to get in and out off..Very relaxing drive in ECO mode at 60mph..Not particularly quick, but capable of keeping up with traffic,,,and 70 plus MPG. It’s well screwed together, no rattles or squeaks and at 1650 RPM at 60mph, the 90bhp engine is very under stressed..